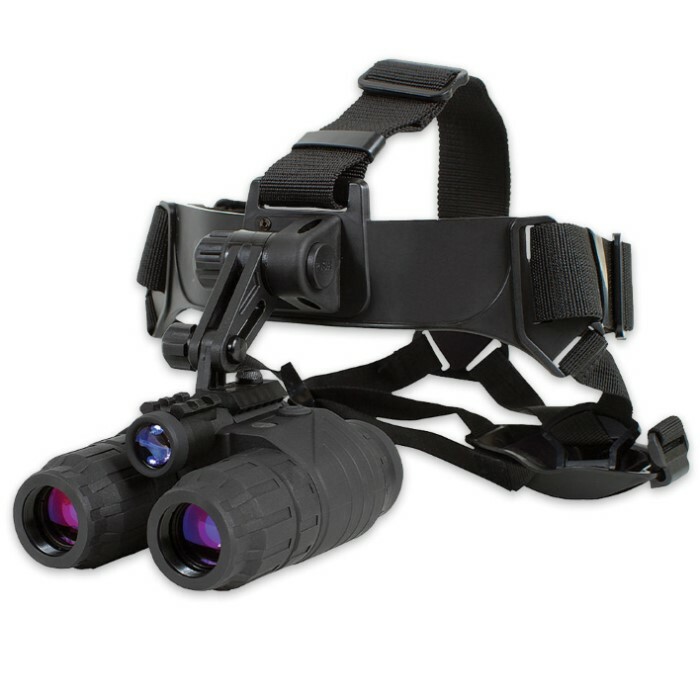 Ghost Hunter High Powered 1x24 Night Vision Goggle Kit | BUDK.com - Knives & Swords At The Lowest Prices! You know that you can count on a monocular that has been field tested and approved by the North American Hunting Club. 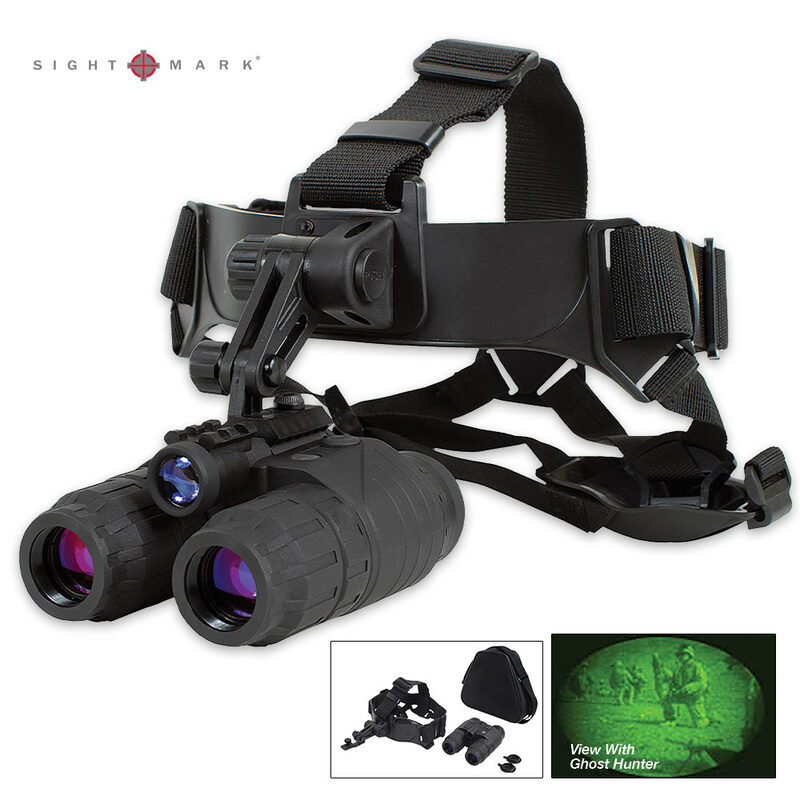 The Sightmark Ghost Hunter 1x24 Night Vision Goggle Kit is engineered to meet the highest requirements and standards of the serious night vision user. It is a dual-tube system that offers comfortable viewing, is easier on the eyes and provides more detail than a single-tube system. 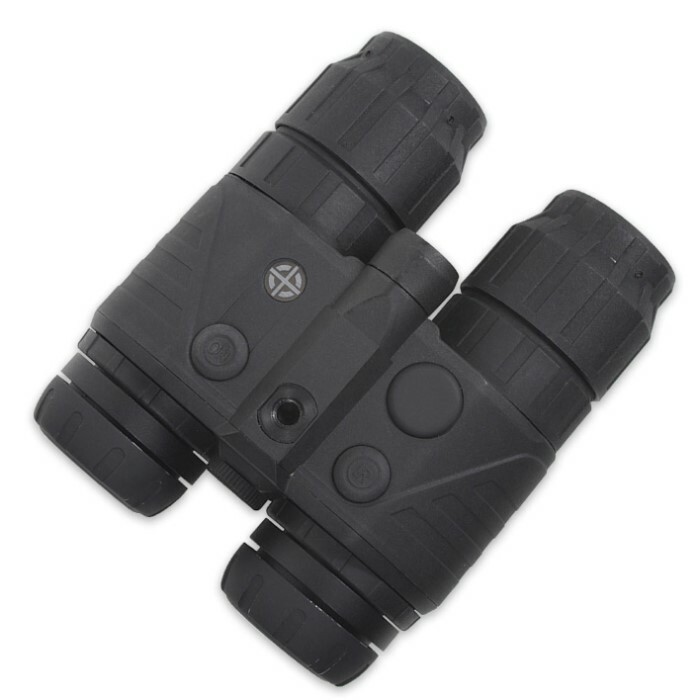 With its high-power infrared illuminator and a 1x magnification, the Ghost Hunter Goggles provides a bright, clear image for short-range targets in low-ambient light conditions or total darkness. Its lightweight and compact, durable polymer construction delivers increased resilience for a lifetime of use. It also includes an automatic shut-off feature, which turns the unit off completely when exposed to bright light sources, saving precious battery life. Equipped with a head mount, the device can be mounted for comfortable, long-lasting, hands-free operation, or hand-held when searching for prey.